Headliners: Lady Gaga, The Killers, Blake Shelton, Snoop Dogg, Journey, Queens of the Stone Age, Lady Antebellum, etc. >> The Last Spike, Craigellachie, B.C. >> Bluenose II, Lunenburg, N.S. >> Terry Fox Monument, Thunder Bay, Ont. On July 1, 1867, which of today’s provinces was NOT part of Confederation? More than 900 Canadian soldiers were killed and 1,874 taken prisoner in Operation Jubilee on Aug. 19, 1942. Which French port was the Canadians’ objective? Which Quebec-born NHL goalie was the first to regularly wear a protective face mask? Which important Canadian painter was never part of the Group of Seven? Which Canadian bank note has a line from Roch Carrier’s story “The Sweater” printed on it? Which Canadian prime minister was awarded the Nobel Peace Prize? Which Canadian prime minister spun a pirouette behind the back of Queen Elizabeth II? Where did Terry Fox end his Marathon of Hope in 1980? 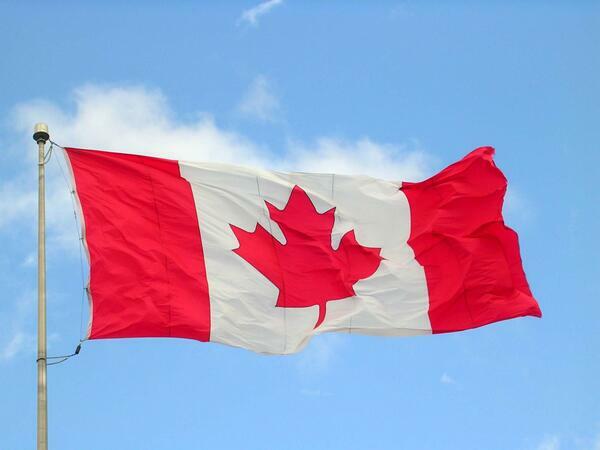 In which year was Canada’s current flag, the Maple Leaf, officially adopted? Who coined the expression “the medium is the message”? How many times has Canada’s sole remaining Major League Baseball team, the Toronto Blue Jays, won the World Series? Financier and diplomat Donald Smith drove in the symbolic “last spike” to complete the Canadian Pacific Railway on Nov. 7, 1885. In which province? Which Canadian’s music was famously dubbed the “sweetest music this side of heaven”? Which prime minister said the Canada is “fundamentally a community of communities”? Nunavut came into being as a constitutional entity on April 1, 1999. What does “Nunavut” mean? Canada has less than one per cent of the world’s population. The country’s rivers, however, discharge what portion of the world’s renewable water supply? Who was the first woman elected to the House of Commons? Which medical discovery did Canadian scientists Frederick Banting and Charles Best make? What was the Silver Dart? Where was Louis Riel hanged? In 1917, a collision between the French munitions ship Mont Blanc and the Belgian relief ship Imo caused an explosion. Where? Which of Canada’s governors general ate part of a raw seal heart to express solidarity with aboriginal culture? Who pioneered Canada’s system of universal health care? French president Charles de Gaulle proclaimed “Vive le Québec libre” from the balcony of Montreal’s city hall. In which year?